The Homebuyer Survey Report is an economy service that is suitable for most types of houses, bungalows and flats, which are conventional and traditional, in type, and construction, and which are apparently in reasonable condition. For the majority of people, buying a home is the principal single investment of their life and one of the most significant financial milestones. It is thus very important to identify all risks and problems that may present themselves, which are likely to be expensive to remedy, before exchange of contracts. 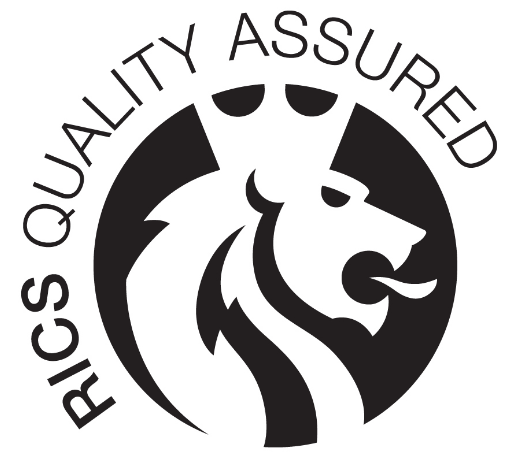 The format of the report is laid out by the RICS (Royal Institution of Chartered Surveyors). It is designed to outline any major defect(s) and provide advice or whether or not such defect(s) affect the value of the property. The RICS Homebuyers Survey Report will clearly spell out whether any actions need to be taken before you exchange contracts. Condition rating 3: Defects that are serious and / or need repairing, replacing or investigated urgently. Condition rating 2: Defects that need repairing or replacing but are not considered to be either serious or urgent. Condition rating 1: No repair is currently needed. Elements, both inside and out, are given condition ratings based on the above traffic light system. The report will pinpoint what the Surveyor determines to be the most vital issues. There are further sections in the report, which highlight the risks and summarise the issues that you should discuss with your legal adviser. The report can also include an insurance rebuild cost of the subject property to help you sufficiently insure your property. Furthermore, the report can provide you with an accurate current market valuation so that you know whether or not you are paying the market value for the property. When problems are discovered, you can use your Homebuyer Survey Report to renegotiate your purchase price. Most people rely on only their mortgage report, which is not a survey, but is a property risk assessment aimed for lender use only. This will not highlight numerous defects; therefore, it is vital that a suitably qualified chartered surveyor undertakes a Homebuyers survey in order to adeptly identify defects. 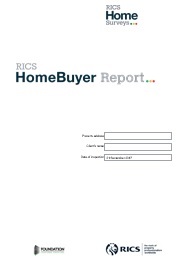 The RICS Homebuyers Survey Report is independent of any survey undertaken by your lender. Our Chartered Surveyors inspect your property to help you identify any significant problems, such as subsidence, damp, lintel failures, movement cracks as well as many other unwelcome hidden issues both internally and externally. Can a homebuyer report save money? It is estimated that purchasing a house or flat is likely to result in £5,750 worth of unknown expenditure, a Homebuyers survey can help to mitigate this risk, and if appropriate, it will help you to re-negotiate the purchase price of your property, to reflect repair liabilities identified by the Homebuyer Survey Report making the Homebuyer Survey a truly cost-efficient survey. The RICS Homebuyer Survey is a level 2 survey. It is a cost effective method of minimising risk by providing potential purchasers with ample relevant information to make an informed decision on whether to proceed with a purchase. The RICS Homebuyers Survey Report will enable you to decide whether there is any reason (such as structural subsidence, Japanese knotweed etc.) not to purchase the property. It will also help you to determine if any immediate repairs are necessary. Property buyers may think that paying for a Homebuyer Survey is just one more expense added to all the other necessary costs associated with purchasing a property. However the Homebuyer Report provides buyers with very useful information at an affordable cost, which will help you to make a well-informed decision about buying your property, whilst mitigating the risk and cost of your overall purchase, as it will identify defects and providing advice on both the condition and price of the property. What are the Homebuyer Survey options? Depending on the type of RICS Homebuyer Survey Report you choose, drone technology can also be used for a close-up inspection of hard to reach areas, such as Flat roofs. The main purpose of the RICS Homebuyer Report is to give you the information you need to decide whether you should proceed with purchasing the property, once all defects and risks have been identified. Click here to take a look at the available options for Homebuyer Survey reports. Are HomeBuyer Reports worth the money? With all the additional fees that creep into the process of purchasing a house, it’s easy to see why buyers might be tempted to forgo a survey in order to save money. However, according to a survey conducted by the Royal Institution of Chartered Surveyors (RICS), homeowners that failed to have their home professionally inspected for defects ended up spending an average of £5,750 on unexpected remedial work once they move in. By investing in a survey before finalising the purchase, you have the opportunity to negotiate the potential repair cost of any uncovered defects off of the price. For example, if the Homebuyer Report discovers £3,000 worth of damp damage, buyers have reason to ask for £3,000 off the sale price. The cost of a Homebuyer Report is such a small fraction of the overall house price – and the potential expense of repairs is so high – that it’s always worth having the peace of mind that the survey provides. When should you get a HomeBuyer report? Homebuyer Reports are suitable for conventional Post Victorian Era homes, that appear to be in reasonable condition. Older homes will require a more detailed Building Survey, while a Condition Report should be sufficient to assess modern properties. The most appropriate time to commission any property survey is between having your offer accepted and exchanging contracts – the sooner the better. Waiting until after you have finalised the details of the sale with the vendor prevents you from further negotiating the price if defects are uncovered, and means you cannot walk away from the sale if the required work is going to be more effort and money than you are willing to invest. What are the next steps after a HomeBuyer Report? When you receive your report, you should carefully go through the details to understand the condition of the property. The best-case scenario is usually finding no unexpected defects and only a few minor issues that won’t need urgent attention, however, it may be that a serious underlying problem has been found that will take considerable time, money and effort to rectify. Consequently, further investigation by relevant professionals maybe required. At this stage, it’s up to you to decide whether you are happy to proceed with your purchase, or if you would prefer to renegotiate the price with the vendors. If the property requires extensive work that you are not prepared for, you still have the option to walk away and find a home that is a better fit.